With the concern and passion about THE ACTIVITY BASED WORKING OFFICE SOLUTION, we have been being office furniture solution provider and exporting to more than 65 countries since 1998. To fulfill the needs and requirement for different project types, we keep developing and improving ourselves to provide the better ACTIVITY BASED WORKING OFFICE SOLUTION product portfolio by integrating with our 6 brands - BUROSC, PERFECT U, ARTE COMO, OASIS PLATINUM, OASIS SUPERB and OASIS SOFA in simple yet essential way. With conscious of quality and environmental management, we are accredited with ISO 9001:2008 and ISO 14001: 2004. Each and every part of our products is produced in accordance to the most stringent international standards and the strictest quality checked. That is OASIS, the way we promise for your business now and then. We want you to stay our aim is to help you stay different in this dynamic market, yet completing every project happily. To be respected and admired as one of the top 10 office furniture manufacturers in the region with our innovative, inspirational and indispensable products and services. 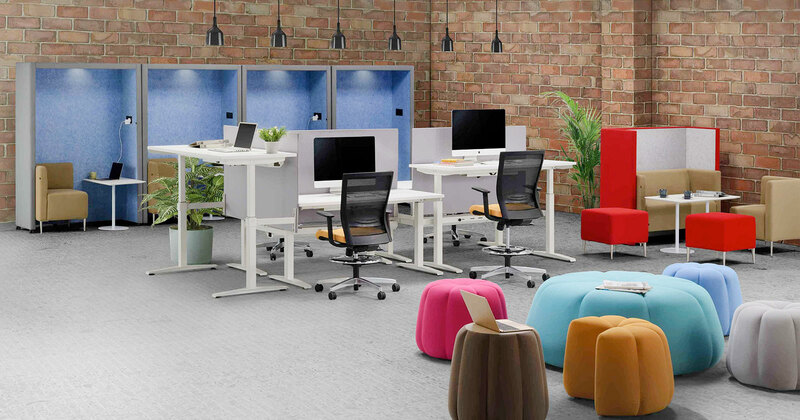 Our mission is to be a Reliable, Productive and Advance office furniture manufacturer with a comprehensive range of high quality products for the global market and to inspire the office environment with ergonomically and anatomically designed furniture where comfort in body, mind and soul are transpired.